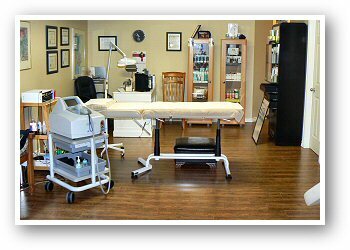 Chilliwack's Permanent Hair Removal Specialists! Image Renewal Day Spa has been providing our clients with the highest standard of care since 1993. Our Technicians are licenced and certified, and have over 22 years of experience and training. We offer state-of-the-art technology in both Laser Hair Removal and Advanced Electrolysis for women and men in a spa environment that is professional, private, and relaxing. We're priced competitively and are well-known for customer service that is second to none! Our Light Sheer Laser is the Mercedes of Lasers. Not a typical spa laser treatment, the Light Sheer Laser offers optimal results in permanent hair removal for all unwanted hair except eyebrows. Hair removal for eyebrows is achieved using our Advanced Electrolysis. Beautiful, natural-looking, firmer skin can be yours with our new skin-tightening system. Read about it here! The world's leading skin therapists have known for years and it's now available at Image Renewal. Read about it here! 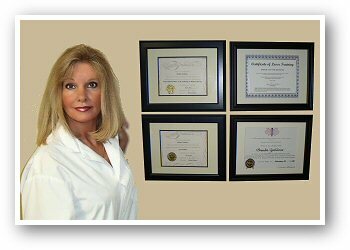 Brenda Zacharias, Owner and Operator of Image Renewal Day Spa, is highly experienced in teaching, training, and education for Permanent Hair Removal, Advanced Esthetics, Accent XL, and serving clients in the beauty industry.